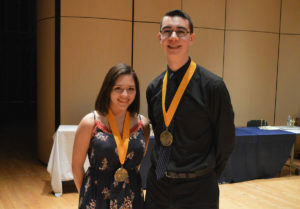 Seniors Natasha Montiel and Jonathan Sills highlighted the 2018 Columbian Awards on Friday as they were named valedictorian and salutatorian, respectively. Both students have had accomplished high school careers, including weighted GPAs over 103. Valedictorian Natasha Montiel and Salutatorian Jonathan Sills. Ms. Montiel will attend Princeton University in the fall where she plans to major in bio-molecular engineering. She is an accomplished member of Columbia High School’s championship Science Olympiad Team and the ‘Les Savants’ chapter of the National Honor Society. Ms. Montiel has attended the People to People Leadership Forum hosted at Harvard University and has participated in the Congress of Future Medical Leaders hosted by the University of Massachusetts. Mr. Sills will attend Hamilton College in the fall where he will major in biology. He is a member of the Columbia Jazz Ensemble, German National Honor Society, the Mock Trial team and was named Most Valuable Player of the Capital Region MasterMinds league. 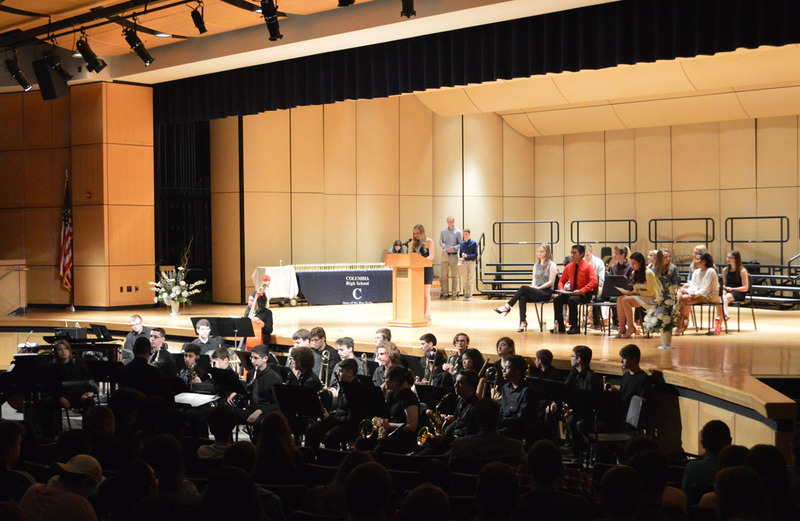 More than 170 awards were handed out to students for excellence in academic subject areas, performing arts, clubs and community service. Congratulations! To the students who have demonstrated consummate skill in art and a strong sense of community spirit. Presented to an outstanding Driver Education student who distinguishes themselves in the skills and attitudes that make a safe driver. Edward Witko lived for his family, friends and chosen profession. In his ten year career in law enforcement, he served with honesty, integrity and loyalty and was admired by all. He trained with an intensity that gave all who knew him comfort in knowing that he was part of us. In August of 2010, Officer Edward L. Witko died tragically while participating in a motorcycle benefit run for Combat Veterans. This scholarship will be dedicated to the memory of Edward Witko, #29. In recognition of your dedication to Key Club during your high school career. Awarded to a senior who has displayed exceptional leadership qualitiesin club functions and meetings. This award recognizes a junior or senior student who has consistently demonstrated commitment, perseverance, attendance and outstanding achievement in the Literacy Lab. Presented to a junior boy or girl who has achieved excellence in academic studies while participating in worthwhile extracurricular activities. Given by The Smith College Club of Albany to an outstanding junior who exemplifies academic achievement, leadership qualities and concern for others. To a junior in the top 5% of his or her class who has demonstrated intellectual leadership and has made a significant contribution to the extra-curricular life of the school. Awarded to a junior in recognition of high school achievement, leadership, citizenship and participation in extracurricular activities. Awarded to a senior who has contributed significantly to an understanding of a love for dramatic works within our school and/or community. Awarded to the senior who has consistently demonstrated a passion for the English Language and achieved excellence within English studies for four years. Awarded to two juniors who exhibit characteristics of academic excellence, student leadership and community involvement. This is awarded to students who exhibit the characteristics of an ideal St. Michael student, based specifically on achievement in academics and community service. One to the top junior male and female student who have taken on leadership roles within their community service endeavors. This award recognizes academic achievement in the study of a foreign language. This award recognizes effort, commitment and enthusiasm to the study of a foreign language. This award is presented to the most considerate senior in the graduating class. Awarded to the student who has shown significant assistance to Columbia staff. Presented to members of the junior class who demonstrate outstanding leadership qualities and have made positive contributions to both school and community. They will qualify for a tuition scholarship should they choose to enroll at Clarkson University. Each year a distinguished group of students are selected and recognized by Wells College for their leadership ability, community involvement and academic excellence. This award honors commitment to academics and student leadership. This program is designed to honor these students who embody the spirit, integrity and intellectual qualities of a strong leader. The following students have demonstrated high academic achievement in business courses. In addition, these students have proven good character, leadership, and service in business education. Given to a senior business student who has excelled in Business education in memory of all departed members of the East Greenbush School Related Personnel support staff. 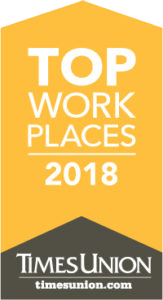 For pursuing studies in health or human services and representing BlueShield of NENY core values: teamwork, integrity, passion, personal responsibility, excellence and respect. For achievement in mathematics and science for engineering inspiration. Columbia High School has participated in the NYS Mathematics League for more than 25 years. There are six contests during the school year which draw problems from a wide range of high school topics. Out of more than 140 Columbia students who participated, this student achieved the highest score. To recognize the superlative academic achievement of young men and women as well as promising juniors who have distinguished themselves in mathematics and science. Awarded to a high school junior who has displayed a significant commitment to community service. 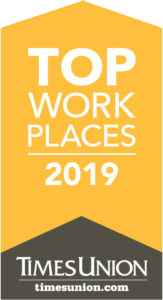 This award recognizes high school juniors who have distinguished themselves academically, are active and involved members of their school and community, and demonstrate outstanding achievement in innovation, creativity or entrepreneurship. This award recognizes high school juniors who have distinguished themselves academically, are active and involved members of their school and community and demonstrates interest and ability in computing. Presented in appreciation for the many hours of community service you performed. Given to a student who will attend college who has an outgoing personality and a drive to succeed in all of life’s ventures and challenges. Presented to a Student Council member who has demonstrated exceptional leadership for all four years of high school. Presented to an active Student Council member who has extraordinary dedication to the school community above and beyond her peers. Presented to a senior who demonstrates an overwhelming desire to promote equality, acceptance and respect for all within our school community. This award is presented for achievement in American History. To a student who possesses an outstanding degree of dependability, service, leadership and patriotism. Awarded to a student who has demonstrated commitment to understanding and addressing difficult social issues as well as showing leadership and a dedication to community action. Strong grades and rigorous courses taken throughout their years in the humanities and social sciences. Honors the memory of Leonard Michon who was a beloved teacher and Supervisor of Social Studies in East Greenbush for many years. Given to the student who has demonstrated outstanding character, scholarship, leadership and service. Awarded to two students who have demonstrated proficiency in the study of U.S. History and understanding of its Constitution. Given to a Schodack student who has demonstrated an appreciation of the principles of government and citizenship from the studying of social studies.